060118 - Senator Elder Vogel, Jr. I am pleased to present my electronic newsletter. These e-newsletters enable me to provide information about issues, events and activities in Harrisburg and around the 47th Senatorial District to you in a timely manner while saving postage costs. If you find this e-newsletter useful, I invite you to visit my website www.senatoreldervogel.com for more information about your state government. If you do not wish to receive these e-newsletters, please click the “unsubscribe” button at the bottom of the page. 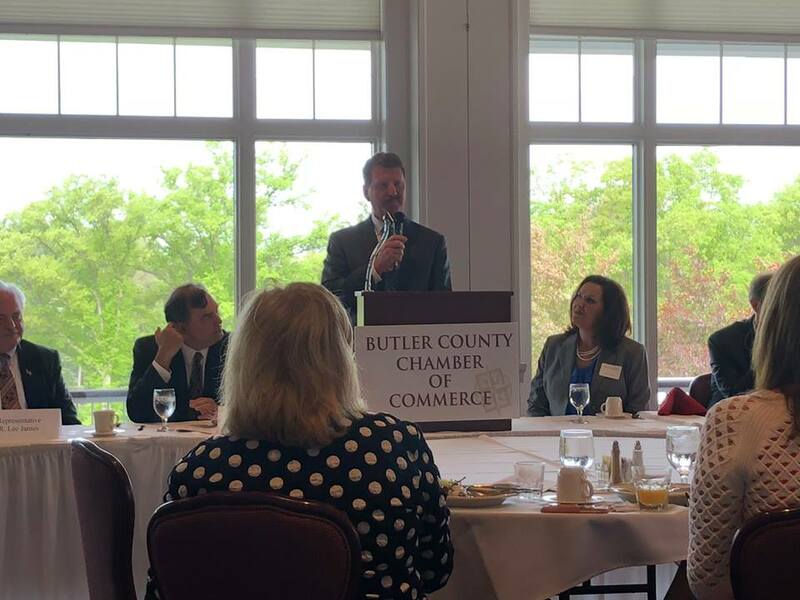 I appreciated the opportunity to speak with the Butler County Chamber of Commerce at their annual “State of the Commonwealth” breakfast. Choose PA Dairy is a joint promotional campaign between the Center for Dairy Excellence, Pennsylvania Dairymen’s Association, Pennsylvania Department of Agriculture, PA Preferred, American Dairy Association North East, Professional Dairy Managers of Pennsylvania and others. Choose PA Dairy is aimed at increasing consumer awareness about the year-round availability of local milk, how to purchase it and the health benefits. The Commonwealth’s dairy industry fuels good nutrition, better health, strong farm families and a strong economy by providing an abundant supply of fresh, wholesome milk that’s rich in the nine essential nutrients for good health and by providing economic value to the tune of $14.7 billion annually and over 52,000 jobs. Making the choice to buy local milk is important for your health, your family’s health, your local community and the Commonwealth. Pennsylvania-produced milk and dairy products can be found in grocery stores, markets and local restaurants. There are two ways to know if the milk you purchase is Pennsylvania dairy. You can look for the PA Preferred logo or the plant code beginning with “42” meaning it comes from PA. Proudly I can speak to the importance of the PA dairy industry on the state economy and to the local community. Please join me in support of Choose PA Dairy. For more information you can visit the Choose PA Dairy website by clicking here. The Senate approved Senate Resolution 322 directing the Legislative Budget & Finance Committee to study the effectiveness of standardized testing, including the Keystone Exams and SATs, and their use as indicators of student academic achievement. The study will include input from education stakeholders, classroom teachers, and higher education faculty with expertise in assessments and psychometrics. The report is due to the Senate within one year. Further investigation is necessary to determine if possible alternatives to the Keystone Exams, such as the Scholastic Aptitude Test (SAT), align to the Pennsylvania Core Standards that were put in place in 2010, if such a shift in this assessment would require costly curriculum realignment, and if these alternative assessments should be used as a measure of teacher effectiveness. For more information on this Senate Resolution you can view the resolution by clicking here or call my office at 724-774-0444. 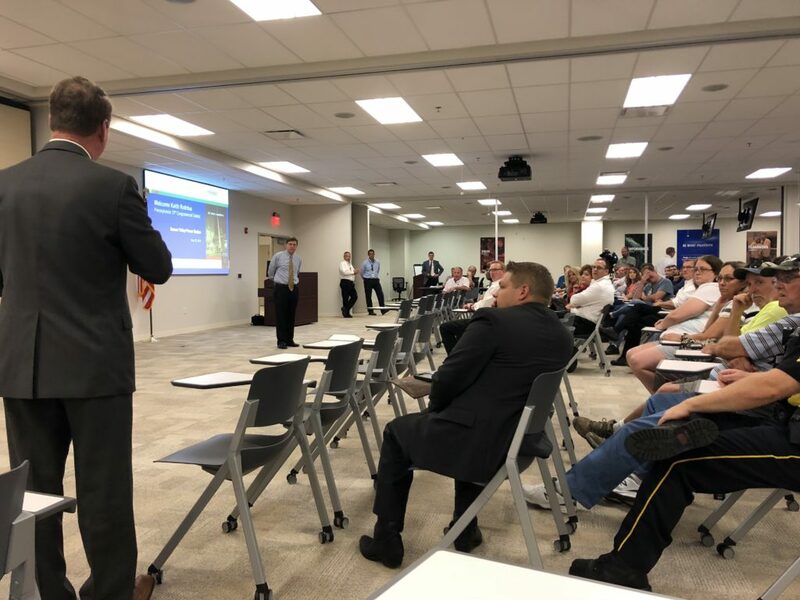 I appreciated the opportunity to meet and speak with many employees at the Beaver Valley nuclear power station this week to discuss my concerns about the plant’s potential closure. We are looking for solutions at all levels to keep the plant open in order to retain local jobs and ensure clean, reliable energy for our future. The Senate approved legislation that would lead to tougher sentences for crimes of domestic violence committed in front of children. Senate Bill 1092 provides for a sentence enhancement within the Pennsylvania Commission on Sentencing’s guidelines for simple and aggravated assault. According to research, half of domestic violence crimes were committed in the presence of at least one child. When these children grow up they are more likely to engage in dangerous behavior and are more likely to become an abuser or be abused themselves. This bill is a step in the right direction in helping victims have legal means of getting help and in protecting children from possible physical and psychological trauma. For more information on the bill you can click here to view the bill or call my office at 724-774-0444. 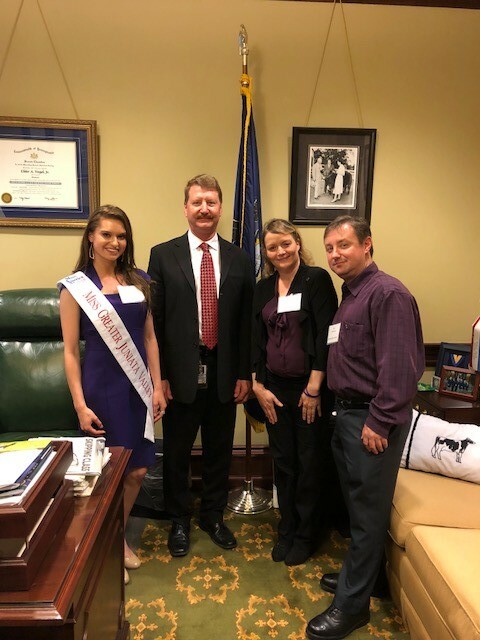 It was great to meet constituents from Beaver and Lawrence counties advocating at the Capitol on behalf of The Alzheimer’s Association. The Pennsylvania Department of Environmental Protection (DEP) will begin accepting grant applications to replace, repower, or retrofit fleet diesel-powered trucks, buses and other vehicles and equipment under the Pennsylvania State Clean Diesel Grant program. A portion of the funds available for the grants will be from the recently announced $118 million settlement from Volkswagen. Applications are being accepted as of May 19, 2018. Grants are available to both public and private entities, including school districts, local governments, and non-profit organizations. Whether it is a school district upgrading their school bus fleet or a private company repowering their delivery trucks, projects under the Clean Diesel grant program lead to cleaner air and lower emissions. The application package, including guidance and application instructions, is available electronically on the DEP’s Driving PA Forward webpage at www.dep.pa.gov/drivepaforward. DEP will accept online applications until 4:00 PM on July 6, 2018. A webinar on the Pennsylvania State Clean Diesel Grant Program will be held on June 6, 2018. See the program guidelines for registration information. Fax and email submissions of applications will not be accepted. Pennsylvania’s Used Commonwealth Fleet Vehicle Auctions are open to members of the general public, including dealers. Attendance at an auction is limited to those who are at least of 18 years of age. Pets are not permitted at the auctions. All auctions begin at 10:00 A.M. Registration is from 9am to 4pm on the Friday, Saturday, Sunday and Monday before the sale. All vehicles will be released to the successful bidder by assigned registration numbers. Upcoming auction dates are June 12th, August 14th, September 6th, October 23rd and December 11th. The next auction on June 12th will be held at the Manheim Keystone Pennsylvania Auto Auction located at 488 Firehouse Road, Grantville, PA 17028. Additional information can be found by reading auction policies or calling 717-783-3132. Applications are now available for a new home on Connecticut Avenue in Rochester. Habitat Beaver County is for homebuyers who might not qualify for a conventional mortgage. Through their Homeownership Program the homebuyer has an opportunity to build and own their own home through affordable 0% interest mortgage. With more than 1,700 Habitat for Humanity affiliates at work in the United States, Habitat has helped change the lives of over 30,000 American families since its first U.S. affiliate was founded in 1976, and the Beaver County branch has been around since 1992. Habitat affiliates build in all 50 U.S. states. You can find out more by clicking here to visit Beaver County’s Habitat for Humanity website or call 724-846-1630. 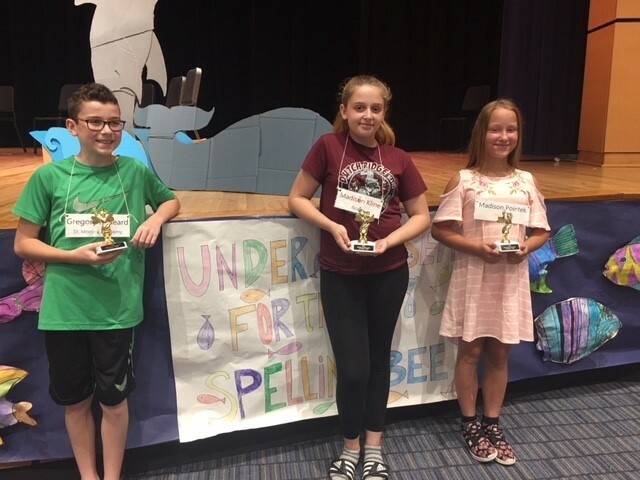 We are happy to acknowledge and congratulate the Beaver County PA Association of School Retirees 6th grade spelling bee winner Gregory Mineard from St. Monica Academy, 2nd place finisher Madisen Kline from Beaver School District, and 3rd place finisher Madison Pointek from Midland School District. Mission Vision Clinic located at 616 Fourth Street, Beaver Falls, PA 15010 is hosting a one day only free vision screening and new eyeglasses event. This event is sponsored by the Beaver County Association for the Blind and will be held from 9am to 3pm on Tuesday August 28th. To schedule an appointment please call Terry at 724-506-6477. Please contact me to provide input on any state-related matter, or to receive help in dealing with a state agency.